Series history: The Longhorns lead the all-time series 47-41. However, things have been bumpy in Stillwater in recent years. Texas has not won at Oklahoma State since 2011. Things got dicey at home on Jan. 16, too. Texas built up a 23-point lead in the second half but needed Eric Davis’ layup and four Taylor free throws in the final 13 seconds to close out a 74-69 win. About the Longhorns: Coach Shaka Smart’s club bounced back well after a huge loss to Baylor with a 71-70 road win at Kansas State. Now, Texas must show some mental toughness after Monday’s 30-point home loss to No. 1 Kansas. The Horns have already secured a first-round bye in next week’s Big 12 tournament. They need to go into Kansas City feeling good about themselves. … C Cam Ridley said he still has not been cleared to run or jump, but the 6-foot-10 senior still hopes to play this postseason. … G Isaiah Taylor’s plantar fasciitis injury almost prevented him from walking earlier this week. Smart said he thought Taylor would play against the Cowboys. It could be a game-day decision. About the Cowboys: Gallagher-Iba Arena used to be one the loudest, rollicking arenas in the country. Now, the Cowboys are lucky if the building is half full. Attendance has plummeted this season as the season’s gone south. OSU is averaging 5,979 fans in 15 games this season. … It’s hard to remember but this was the same team that crushed Kansas in mid-January. Now, the Cowboys are riding a five-game losing streak. G Jawun Evans suffered a right shoulder injury on Feb. 3. That, coupled with the previous injury of G Phil Forte III, made winning difficult. 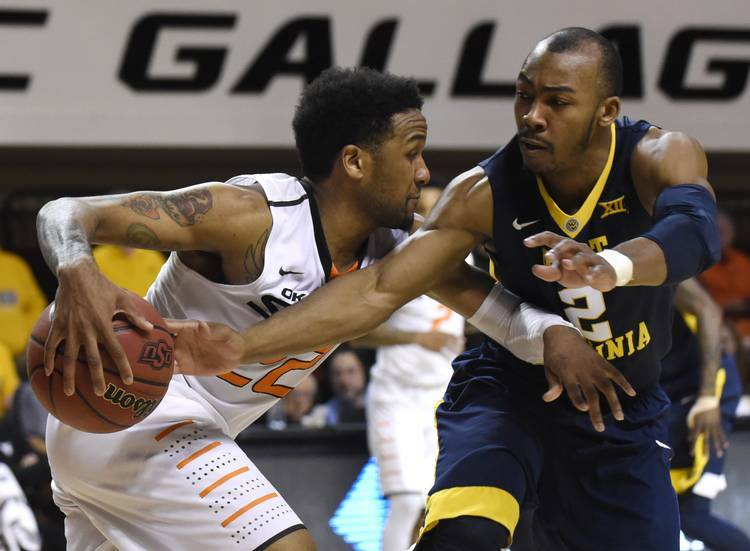 … Jeff Newberry, a defensive-minded “glue” guy, became the first OSU player under 6-foot-2 to post multiple double-doubles since Maurice Baker in 2001.